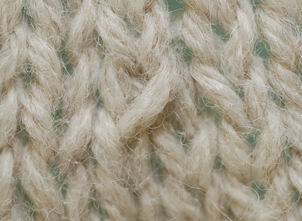 What do knitted decrease stitches look like? I learned how to knit mostly by looking up intructions online and noticed that while there were plenty of online instructions with step by step schematics, there were not many live images (at least not as easy for me to find at that time) of how individual completed stitches looked. Because I don’t have 20-30 years of knitting experience or natural talent of forming geometric patterns in my head, I find myself wishing that there were pictures of the different looks created by various types of basic stitches that I could look up quickly on the computer, especially when I wanted to try knitting something on my own without following a pattern. Sure I can buy books filled with hundreds of stitch and pattern pictures but which one? Deciding on one will be another project and field trip later. For now I need the basic ones used in shaping and lace knitting. I’ll just take the pictures myself! They are not the best quality pictures but should still show the directions of the stitches. Indicate in the comment section if any errors are found. k2tog – knit 2 stitches together the same way 1 stitch is knit. 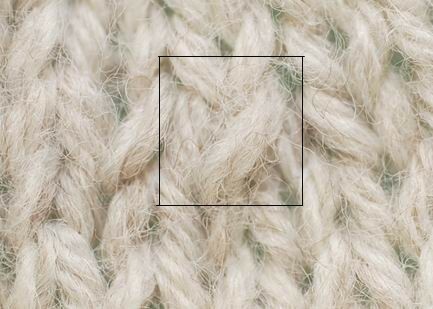 This decreases 1 stitch in the pattern and creates a right slanting look with the left stitch being on top of the right stitch, see stitch inside box in the picture. 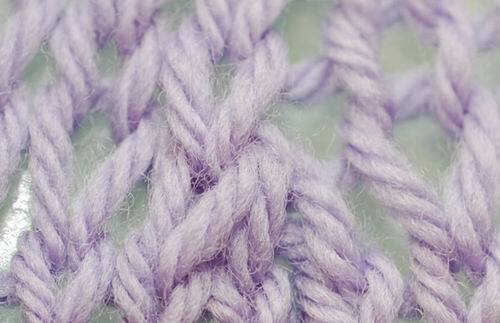 k2tog tbl– knit 2 stitches through the back loops instead of the front loops in normal knit stitches. This decreases 1 stitch in the pattern and creates a left slanting look with the right stitch being on top of the left stitch and both stitches are twisted. 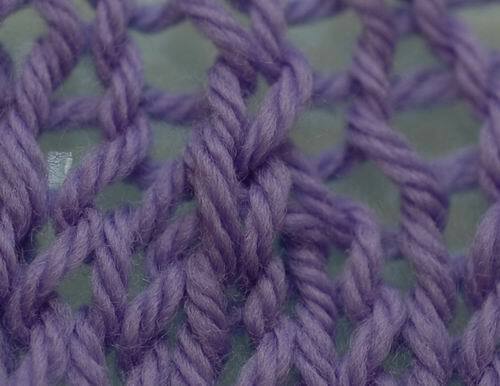 k1, sl1, psso– knit 1 stitch; slip next stitch as if to knit, then slide the 2 stitches to the left needle as they are; pass the slipped stitch over the knit stitch and off the needle; finally slip the knit stitch back to the right needle as if to purl. This decreases 1 stitch in the pattern and creates a right slanting look with the left stitch being on top of the right stitch and the left stitch is twisted. 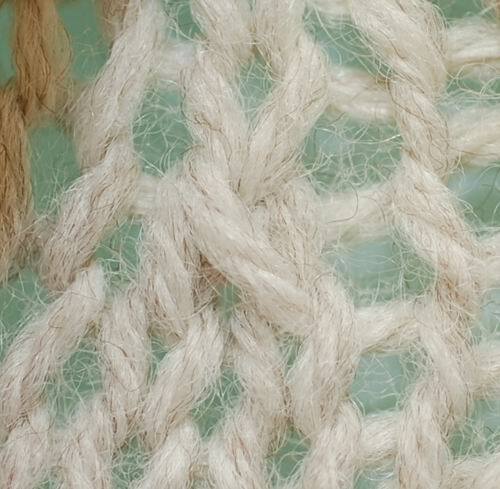 ssk and skp create the same look – ssp is slip one stitch as if to knit, repeat the slip for another stitch, then knit the two together by inserting left needle into the front loops of the two slipped stitches and proceed to complete the knit stitch by pulling the working yarn loop through with the right needle; skp is slip one stitch as if to knit, knit the next stitch, then pass the slipped stitch over the knit stitch and off the needle. Both decrease 1 stitch in the pattern and create a left slanting look with the right stitch being on top of the left stitch. k3tog-knit 3 stitches together. 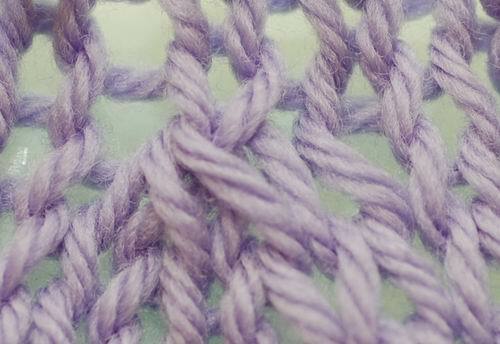 This decreases 2 stitches in the pattern and creates a right slanting look with the left most stitch being on top. sl3, k3togtbl– slip 1 stitch at a time as if to knit for 3 stitches, transfer them back to left needle as they are, and then knit the 3 stitches throug the back loop. 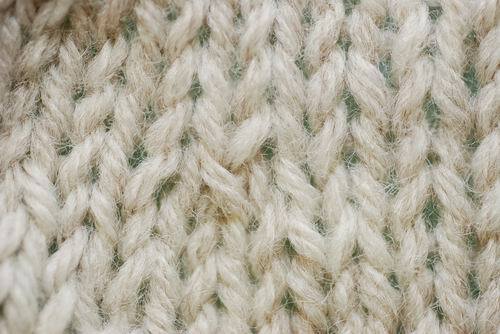 This decreases 2 stitches in the pattern and creates a left slanting look with the right most stitch being on top. 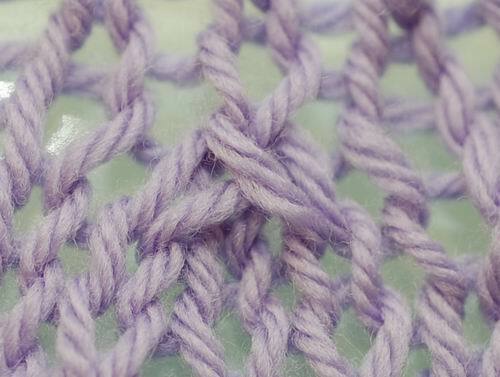 sk2p– slip one stitch as if to knit, knit the next 2 stitches together, then pass the slipped stitch over the knit stitch and off the right needle. This decreases 2 stitches in the pattern and is centered with the center stitch on the bottom. sl2tog, k1, p2sso– slip 2 stitches at the same time, instead of one by one, as if to knit 2 together, then knit the next stitch and pass the 2 slipped stitches over the knit stitch and off the right needle.